Mawih Al Ani is an Associate professor in Accounting. I have a PhD in accounting from Al-Mustansiriyah University in Iraq 2004. 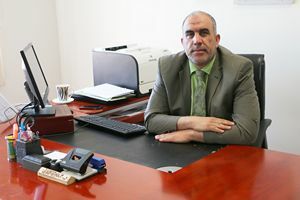 I am working at Dhofar University since 2012 up to date and currently I am the Assistant Dean of college of commerce and business administration (CCBA). I am teaching accounting and auditing courses such as Advanced Auditing, International Accounting and Financial Accounting. Teaching methods/style: Lectures and case studies. Courses developed: Advanced Auditing and International Accounting. Supervisor of BSc projects- MSc theses and PhD distractions.